I’ve been on a serious white kick lately and now I am having a serious obsession with blue and white. I’ve always liked the color combo, but lately I can’t get enough of it! It’s just so crisp and feels extra fresh for summer. 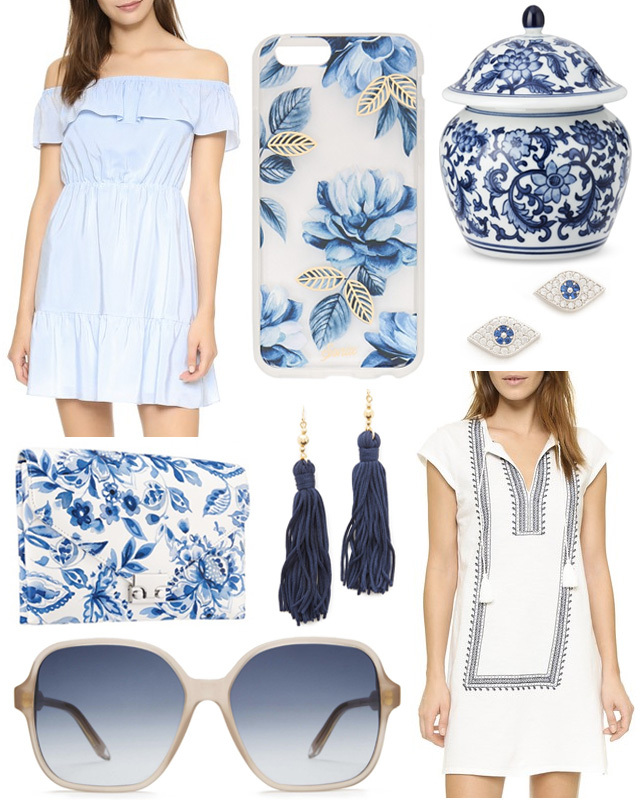 Here are a few of my favorite blue and white pieces of the moment for everything from your wardrobe to your home! This is one of my all-time favorite color combinations. It always looks fresh. Definitely such a crisp look for summer! Great picks!